Patty Mark pleaded guilty to tresspass and theft (see previous story) with mitigating circumstances in the Kyneton Magistrates Court today, and she managed to keep the focus squarely on the dogs who were grossly neglected and in very poor condition. Defending herself she presented to the Magistrate several photos of the three dogs taken on the day she helped remove them for veterinary care. The Magistrate was visibly moved when looking through the photos. The cruel and systematic slavery of dogs imprisoned for life on puppy farms will be before the Kyneton Magistrates Court on Monday, 11th April, 2011. Patty Mark, President of ALV will face charges of trespass and theft of three dogs after she helped remove dogs in very poor condition for urgent veterinary treatment. Patty tells their story. The call was urgent. 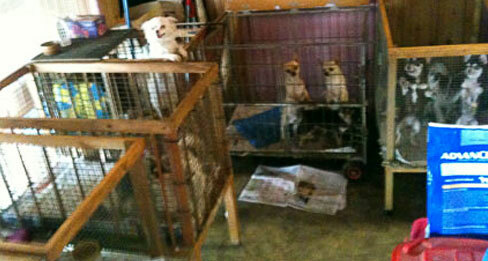 A concerned member of the public had been tracking down this puppy factory for quite some time. She found a lead and a local confirmed it and they also told her the dogs weren’t in a good way. She found out the puppy farmers were away on holiday. So she went to the property, saw the dogs and then rang us in tears begging for help. ALV’s Open Rescue team was on the road in less than two hours. 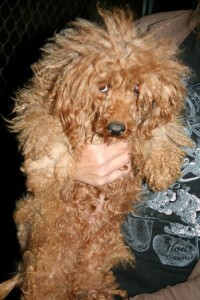 The woman’s appeals were urgent as she said the conditions of the dogs were shocking. On arrival at the property, the first thing we said to each other before our investigation was, “No dogs off the property… we will take video footage and photographs and then report it to the authorities.” We’d been in court before over puppy factories and the system only recognises animals as ‘property’, not sentient individuals. We also knew from over thirty years experience it would be hard to get the authorities to act, but we never lose hope. It was daylight when we arrived and before us was a well maintained large property with a huge double story new house, but up a small hill and away from the house, a large shed told a totally different story. The shed was cluttered and fitted out with wire cages on concrete, each holding a number of dogs. 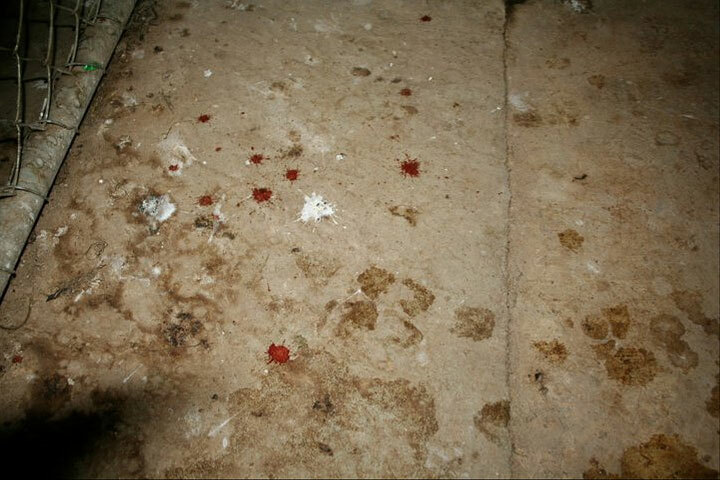 The floors of the cages were smeared with blood and feces. The dogs were either agitated and circling in their cage pens or cowering inside small kennels inside the pens. By now it was dusk and the shed was dim, but when our eyes adjusted, it was the pitiful conditions of the dogs that stopped us in our tracks. 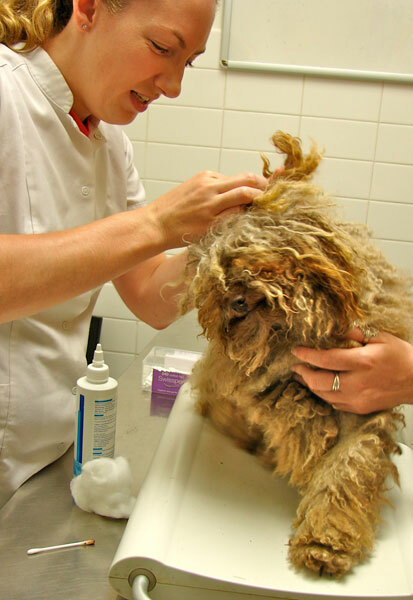 Tillie was in such a pitiful condition, her fur matted severely. 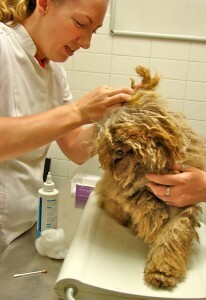 The dogs were very neglected, some were so matted you could not tell which end was which or even where their paws were. We filmed and photographed what we found, but we now knew that it would be impossible and morally wrong not to get some of these dogs to a vet as soon as we could. They were simply in too bad a state to turn away and leave them there. We removed three of the worst but still ache over some we had to leave behind. 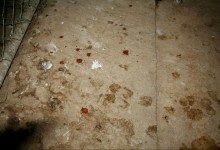 We reported the dog factory to the local council and the RSPCA and the puppy farmers reported ‘the theft’ to the police. There would have been a clean-up and movement of dogs before a cursory inspection. And over a year later it is animal activists who face court for trespass and theft and I doubt the authorities have been back again to check on the dogs. Who knows what these puppy farmers are now up to or what the conditions of any animals under their care may be? There is no such thing as ‘routine unannounced inspections’ even on properties that are registered with local councils. The vet was shocked the next morning when we presented her with the dogs. She spent over two and a half hours treating them as much as she could in a general consult without anaesthetic. She rated them 1 – 1.5 out of 5 for condition. Sadly one of the little dogs was seized by the police and returned to his abusers, but the other two are now far away and happily settled in new loving homes where they are treated as family members not as slaves locked away for some quick cash. 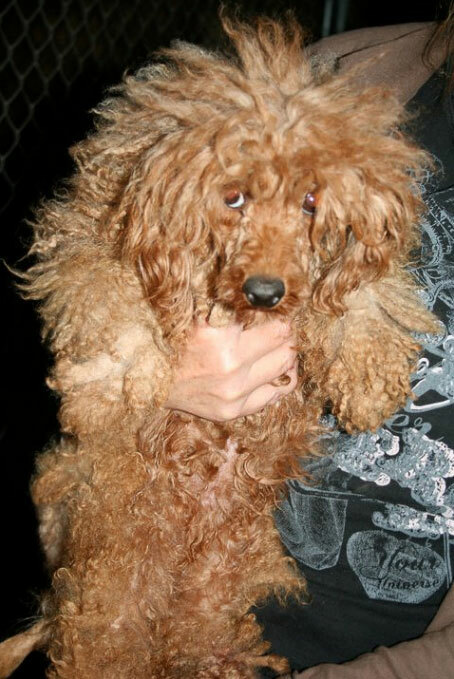 Puppy Factories In Court and Healey’s Hellhole. Dogs are suffering in this Longwood puppy factory in the Strathbogie Shire Council. 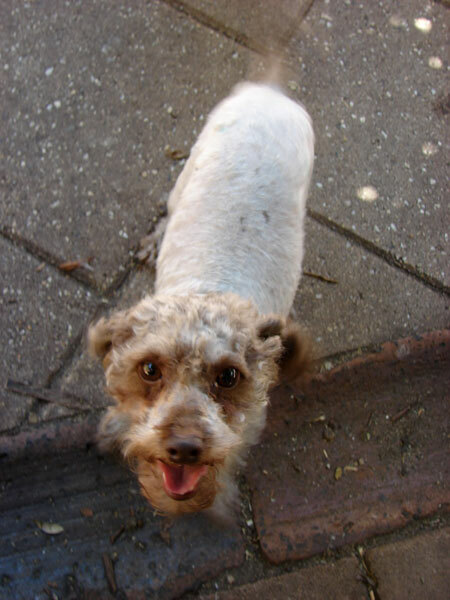 The owner is registered by the Council and is a registered breeder with Dogs Victoria. She sells her dogs online, and after seeing the poor conditions they suffer it really shows how out of control the cruel business of farming puppies really is. Please watch the below video footage from ALV’s recent investigation at this factory. 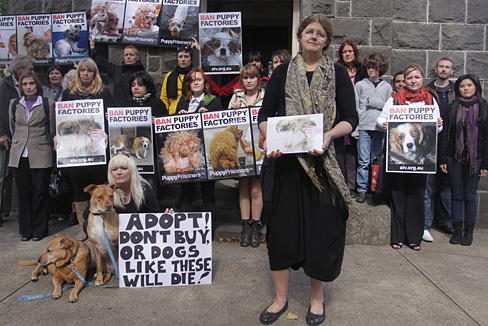 Note: Healey’s Puppy Factory is the first place featured on this video between 00:28 – 1:07 ‘November 2010, Central Victoria’. Three dogs were saved from Healey’s Hellhole the day ALV visited. 1) A chihuahua male pup who was around 14 weeks old and only weighed 800 grams, the puppy farmer brought him out from a room in the back and said she was “waiting for him to die”. 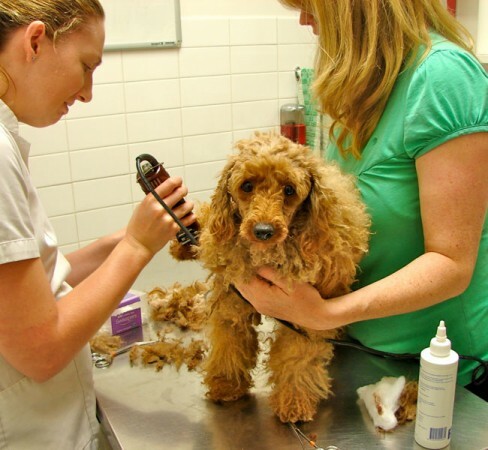 The pup was taken to the Melbourne University Vet Clinic for immediate expert care. 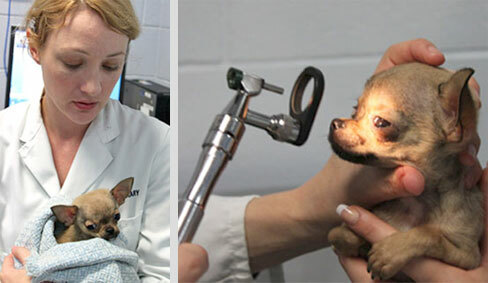 He was underweight and had hydrocephalus and vertebral scoliosis, both of which are being treated. Most importantly, for his immediate survival, and to help this treatment he is gaining weight with the loving care and devoted attention of his new family. 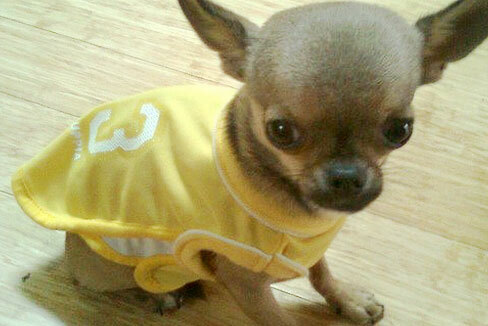 2) Another chihuahua, a female around 11 months old, was taken from one of the ‘cots’ inside the house. 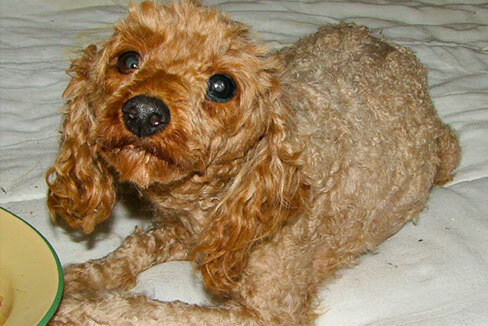 Her eyes weren’t aligned correctly for breeding so she was being sold at a ‘discount’. This little girl can only walk in small squares… the size of the cot that was her whole life. She doesn’t even know how to go down a small step and has to be carried. 3) The third dog is a two and a half year old female who has a misaligned jaw and wasn’t suitable for breeding so was put in one of the outside runs and forgotten. The vet commented that this dog looked very typical of dogs kept continually on concrete runs as both her back paws had hardly any nails left, while her front claws needed to be clipped. The dogs filmed in the outside runs (over 50) were jumping up continually with their front claws against the wire of the pens and their back two paws on the concrete. The vet noticed her skin was in poor condition and she suspected this was due to a bad diet without wet food. When she was first offered a bone she had no idea what it was. ALV ironically heard from another member of the public shortly after appealing to the Strathbogie Council to investigate this puppy factory. This person had also complained to the Council over a year ago with photographs and video footage evidence. Nothing was done to help the dogs. This woman spent thousands of dollars buying dogs in an ‘effort to save them’ and also took in a 300 gram puppy that the owner of the property had in a cardboard box, and was also ‘waiting for him to die’. Email the Stathbogie Council Mayor asking that the Healey Puppy Factory in Longwood be closed down. Ask for a reply and an assurance that something will be done to help these dogs.